President Donald Trump’s pick for CIA Director, Republican Rep. Mike Pompeo has been confirmed by the senate to head the Central Intelligence Agency. BREAKING: Rep. Mike Pompeo has secured enough votes to be the next CIA director; Senate still voting. Pompeo has been a proponent of reinstating the torture program used by the CIA after 9/11, which includes ruthless illegal interrogation methods that were used in secret at the U.S. prison on Guantanamo Bay. However, Pompeo said recently in his testimony before the Senate Intelligence Committee that as CIA director, he would not allow the use of torture in interrogations. He appears to have backtracked his promise. Answering a question in a recent written inquiry from the Senate, Pompeo said he would consult experts on whether torture restrictions could be loosened for national security purposes to protect the country, or if he could rewrite those restrictions. The questions are now deleted from the senate intelligence committee’s website, but are viewable through archive.org. “If confirmed, I will consult with experts at the agency and at other organizations in the U.S. government on whether the Army Field Manual uniform application is an impediment to gathering vital intelligence to protect the country or whether any rewrite of the Army Field Manual is needed,” Pompeo wrote. “When the most devastating terrorist attacks on America in the last 20 years come overwhelmingly from people of a single faith and are performed in the name of that faith, a special obligation falls on those that are the leaders of that faith,” Pompeo said on the House floor. At first, Trump agreed with Pompeo on reinstating torture and increasing surveillance, stating that he would bring back “waterboarding and a hell of a lot worse,” and said that he would put all mosques under watch. However, Trump has since stated in an interview with the New York Times that he changed his views on torture after talking to his Secretary Of Defense, General James Mattis, who urged him to disavow torture in November. Trump still has not moved from his position on Mosques and surveillance. 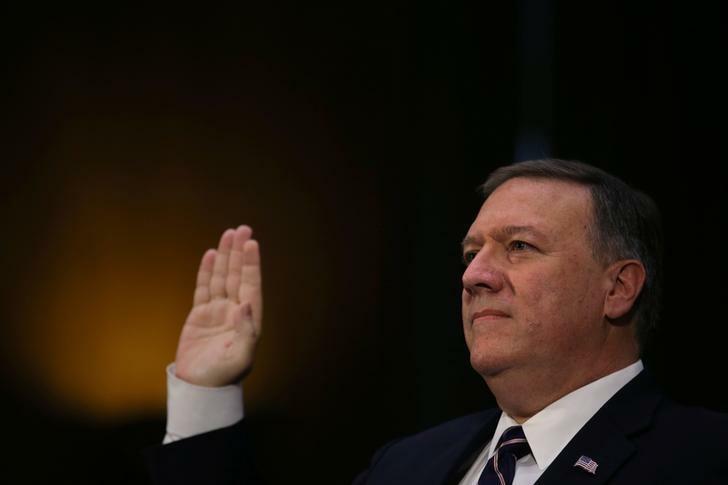 Human rights watch warned against making Pompeo the new CIA director, and insisted that Congress should reject him, because he is unpredictable, and his responses on torture and mass surveillance are dangerously worrying. “Pompeo’s responses to questions about torture and mass surveillance are dangerously ambiguous about whether he would endorse abusive practices and seek to subvert existing legal protections,” Maria McFarland Sanchez-Moreno, U.S. program co-director at Human Rights Watch said. What does our future hold with a man who is so indecisive, yet is now in charge of the CIA—the agency that responds to questions with “that’s classified” and mistakingly destroying 6,700 pages on torture? Oops!